NIST's Big Blue Ball: A Standard for Accurate Temperatures? In 2016, nearly 25 trillion cubic feet of natural gas was delivered to consumers in the United States. Gas flowmeters measured every cubic foot of product that changed hands. So, it's easy to see that flowmeter calibration for accuracy is critical to the commercial viability of gas delivery and consumption. To calibrate flowmeters, a gas stream is flowed through the meter under test and then into a collection tank during a measured time interval. The accuracy of the flowmeter calibration factor depends on a measurement of the mass collected in the tank. The quantity of collected gas is commonly determined using volume of the tank multiplied by the change in density of the gas in the collection tank, before and after the filling process. 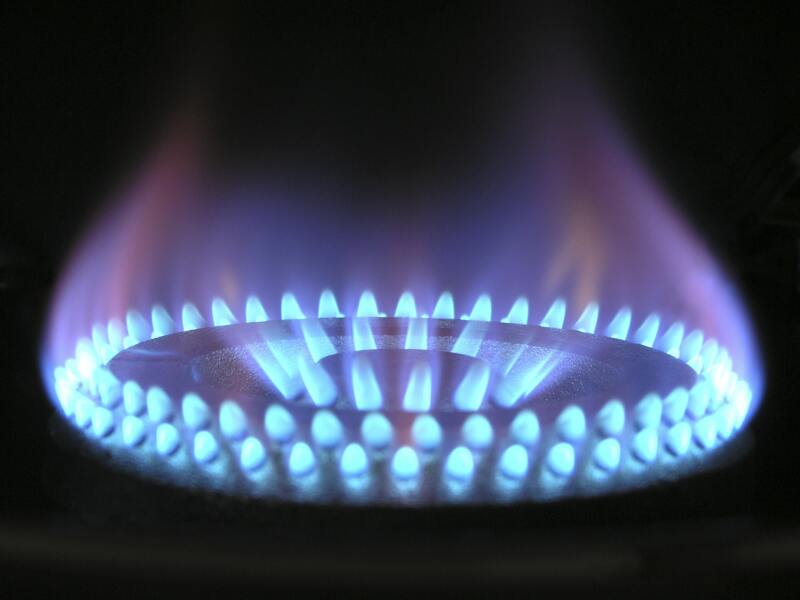 The density determination requires measuring the pressure and the average temperature of the collected gas. But, here's the rub: determining the average temperature of the gas collected inside the tank poses a challenge. When pressurized gas flows into a tank, the flow yields a non-uniform temperature inside the tank. Soon after the flow stops, the warmest gas ends up near the top of the tank and the coolest gas ends up near the bottom. It's like trying to get an accurate temperature of a lake fed by hot springs and cool creeks. This temperature-gradient issue renders conventional tools like thermometers inaccurate. The temperature gradients in these tanks can persist for hours or days. One approach to the temperature-gradient problem is using many small flow meters, one at a time, and then using them in parallel to calibrate larger meters. The small meters are calibrated using a small collection tank fitted with thermostats to eliminate temperature gradients. Unfortunately, multiple calibrations are time-consuming and labor-intensive, which render them expensive. Two years ago, scientists at NIST’s Physical Measurement Laboratory attacked this problem successfully by devising and demonstrating the use of acoustic thermometry to accurately and rapidly measure the average temperature. Now, they are scaling up acoustic thermometry using a large, high-pressure spherical vessel called the Big Blue Ball. The NIST method is based on a fundamental physical principle: When a sound wave travels through a gas with regions at different temperatures, the sound wave's average speed is determined by the average temperature of the gas. Using this scheme, the difficult task of measuring temperature is replaced by the simpler one of measuring the speed of sound waves as they move from transmitter to receiver. His group’s proof-of-principle demonstration used pure argon gas. Because the physics in the Big Blue Ball mirrors that used for proof-of-principle tests, scale-up should be straightforward. Ultimately, Moldover’s team expects calibration laboratories will use their technique on their sites for much larger tanks and meters. The market for gas flow sensors and monitors is expected to grow faster than the markets for either flow meters or secondary instrumentation, according to BCC Research. The global market for gas flow meters, sensors, monitors, and secondary flow instrumentation is estimated to grow from nearly $5.3 billion in 2016 to $6.9 billion by 2021, demonstrating a projected 5.3% CAGR.